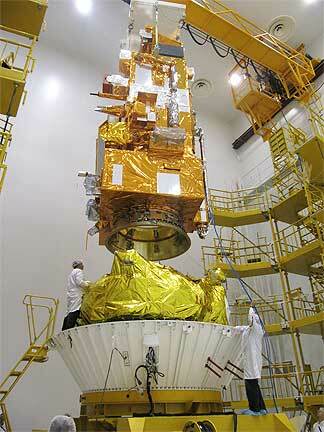 ...Astrium is now ready to launch from the Baikonur cosmodrome in Kazakhstan. From its polar orbit 817 kilometres above Earth, Metop-B will provide a broad range of measurements vital to weather forecasting and climate monitoring. The many components and instruments manufactured for Metop-B by Astrium at its sites in France, Germany, the Netherlands, Spain and the United Kingdom include the ASCAT radar, which will measure the speed and direction of ocean winds, and the Microwave Humidity Sounder (MHS), which will measure atmospheric humidity. Metop-B is the second in a series of three weather satellites that the European Space Agency (ESA) and EUMETSAT, the European Organisation for the Exploitation of Meteorological Satellites, have commissioned from Astrium. The satellites are being launched at intervals of five to six years (Metop-A was launched in 2006 and Metop-C is scheduled to join them in orbit at the end of 2017, ensuring that data will continue to be supplied until a new generation becomes available. 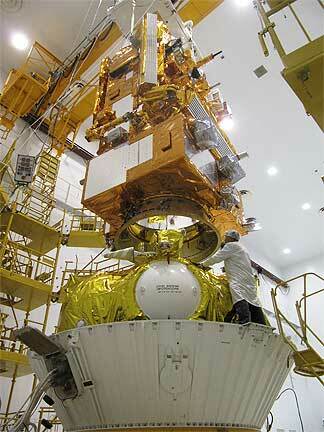 Weighing 4,100kg, Metop-B has been designed to operate in orbit for five years. The EUMETSAT Polar System, which includes the three Metop satellites, represents the European contribution to a cooperative venture with the United States providing data to monitor climate and improve weather forecasting. Each Metop satellite carries a set of 'heritage' instruments provided by the United States and a new generation of European instruments that offer improved remote sensing capabilities to both meteorologists and climatologists. 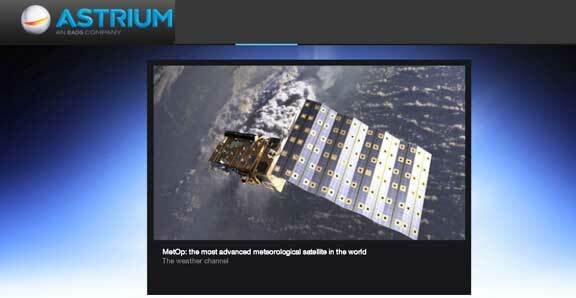 In turn, the U.S. NOAA satellites fly European instruments, including the Astrium built Microwave Humidity Sounder. Metop flies in a polar orbit corresponding to local 'morning' while the U.S. is responsible for 'afternoon' coverage. Metop SG is a logical follow-on program and should guarantee the long-term continuity and enhancement of the data and services Metop provides. Metop SG is currently awaiting the approval of ESA Member States and EUMETSAT at ESA’s next Ministerial Council, to be held in November 2012. Weather monitoring satellites, Metop-B being one of the most modern examples, are essential in guaranteeing the safety of citizens, infrastructure and industry in Europe and elsewhere. They alone possess the capability to provide weather and climate data spanning the whole planet and on a continual basis. Astrium is a world leader in the manufacture of weather and Earth-observation satellites, with 36 of them currently in orbit or on order, and has amassed 230 years of in-orbit experience. Astrium has been selected by ESA to design and assemble some of the Sentinel satellites forming part of Europe’s GMES environment and security programme. In the coming months Astrium will conduct studies on future satellites designed to help the scientific community understand the mechanisms driving greenhouse-gas cycles.